There was a time when updo hairstyles were meant only for formal occasions, such as weddings and proms; but thanks to modern hairstylists, updo hairdos are not confined to formal events anymore. With styles like buns and ponytails, you do not have to look very hard for a hairdo which is beautiful, unique and compliments your look at the same time. 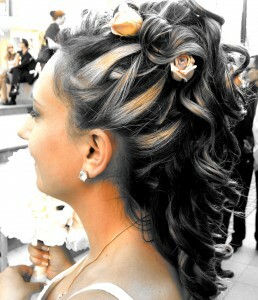 Updo styles can be breezy, casual and businesslike depending on how loosely or tightly it is made. No matter what style you choose, always make sure to protect the delicate ends of your hair.